Rosa sandal is a feat of intelligent minimalism. The style is a modern interpretation from the most classical ancient Greek sandal. Rosa is made from rigid vegetable tanned leather which creates a characteristic and beautiful patina after time. The upper of the shoe is cut to follow the shape of the foot. The inside supports the foot while the outside lets the air to circulate. 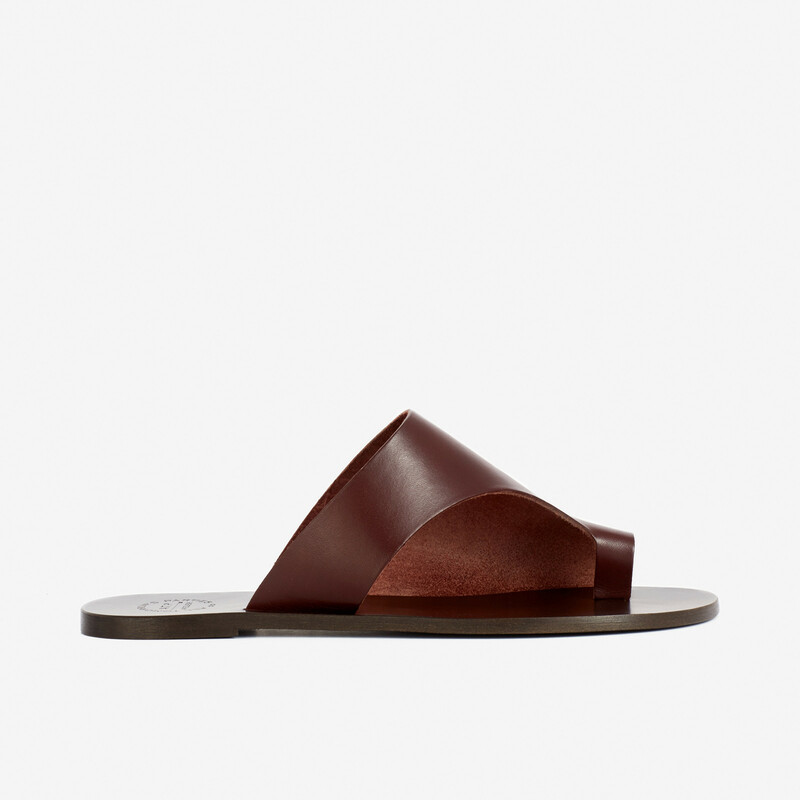 This season we have picked the Rosa sandal in this elegant chocolate brown colour. 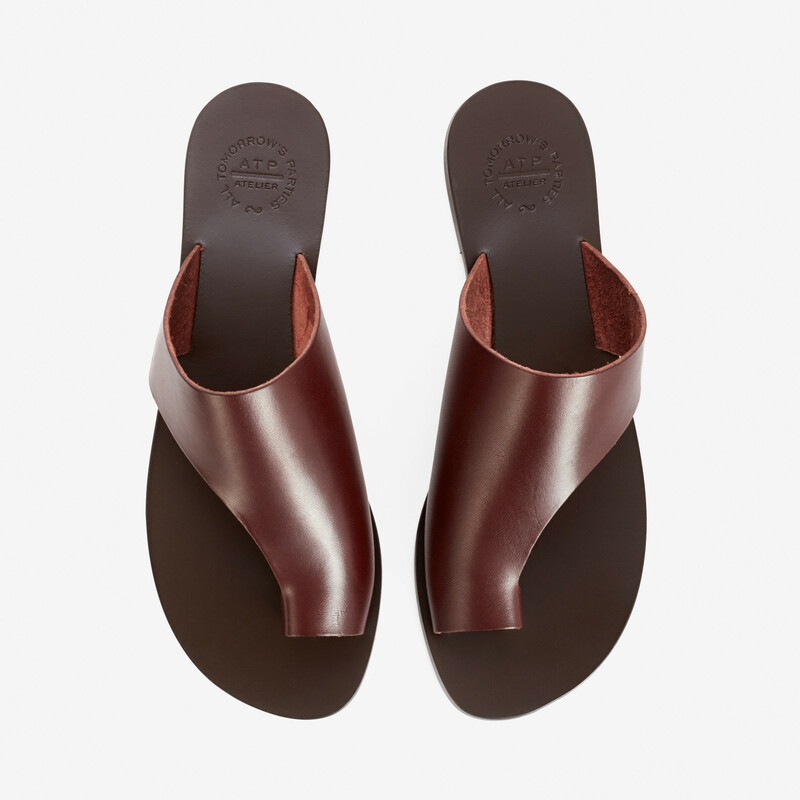 The sandal is left unlined and the edges of the leather raw. ATP Atelier logo is printe. Read more.. This season we have picked the Rosa sandal in this elegant chocolate brown colour. 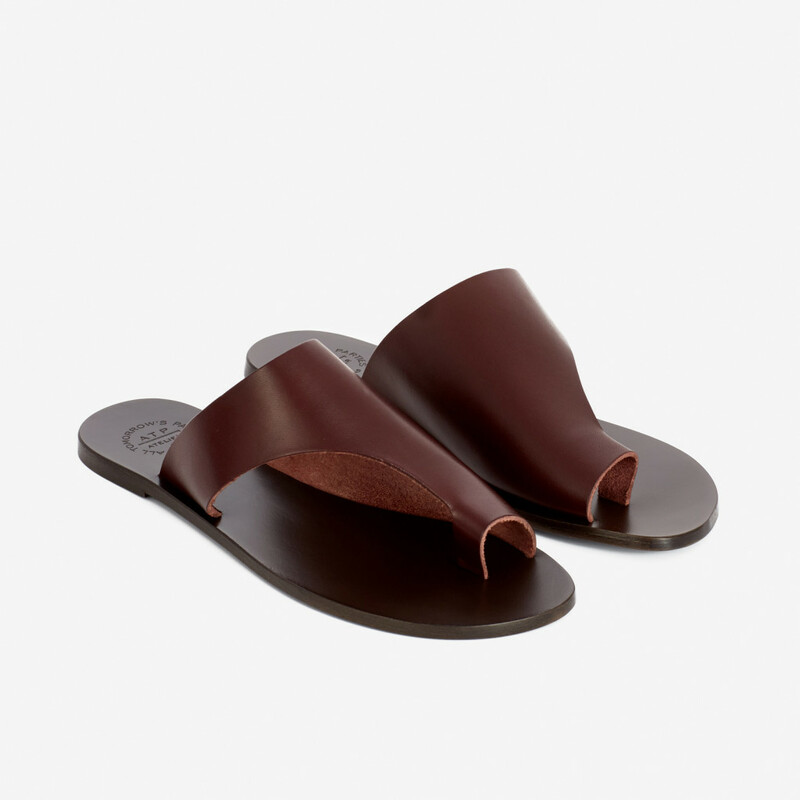 The sandal is left unlined and the edges of the leather raw. ATP Atelier logo is printed with embossing technique to the insole. Due to Italian sizing the shoe can be perceived as narrow. We recommend ordering a half size up. 1 x Rosa Chocolate was added to your shopping bag. 1 x Rosa Chocolate was added to your wishlist.